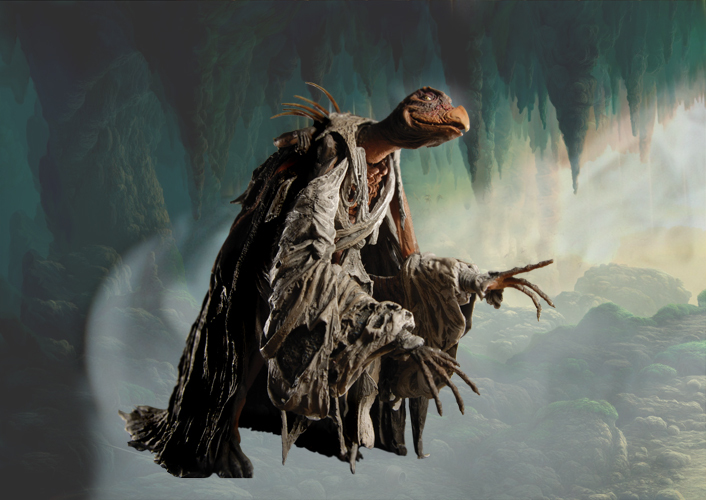 This incredible 7″ scale figure comes from Jim Henson’s first all-creature feature film, 1982’s The Dark Crystal. It’s a classic tale of good against evil — Mystics against Skeksis. Long ago, the Crystal, the source of balance and truth in the Universe, was shattered. Now, as the convergence of the three suns approaches, the Crystal must be restored, or the evil Skeksis will rule the world forever. The vile Chamberlain is next in line for the Skeksis throne, and this poseable action figure simply exudes his cunning and trickery. A fantastic tribute to Jim Henson, and a great addition to any collection!